Do you know where your USB has been? You may want to think twice about plugging in a USB whose origins you can’t account for: A company in Hong Kong has developed a USB drive that can fry your computer! It’s the ultimate Trojan horse for hackers and vandals. 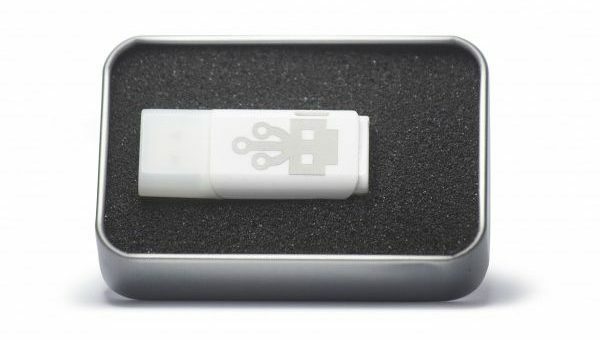 On the outside, the USB Kill 2.0 looks like any other USB device. Once it gets inserted into a USB port, it’s true nature is quickly revealed. It collects power from the USB power lines, absorbing energy from 5V and 1-3A lines, until it reaches ~240V. When it hits that voltage, it discharges the stored energy into the USB data lines. The USB Kill does this charge/discharge cycle multiple times per sound, and will continue to wreak havoc on your computer until the device breaks the circuit in its host machine. Most modern computers are very vulnerable to these energy surges. The USB Kill’s rapid discharging can cause severe damage to hard drives and destroy your SoC (System On Chip, the heart and brain of your machine). While many modern motherboards include overcurrent protection, this usually protects them against positive voltage which can leave them extremely vulnerable to USB Kills with negative voltage. According to the creators of this computer killer, the USB Kill was developed as a testing device to see how USB ports can hold up against power surge attacks. They strongly condemn using the USB Kill for malicious purposes. That being said: The early production runs for the USB Kill have already sold out! The demand for these devices is great, so great that the company also plans to sell a USB Kill Tester Shield. They claim that this device will prevent the USB Kill from functioning, and that it will also protect user data from intrusion or snooping when it’s connected to other devices or unknown charging stations. Now here’s the good news: The odds of you ever stumbling across or falling victim to a USB Kill are very slim. Just one USB Kill costs around $56! Their high cost plus their overseas-only availability makes it highly unlikely that they’ll ever get widely circulated. And do you know what the greatest defense against USB Kill is? Common sense. So long as you aren’t plugging in random USBs you’ve found on the street into your computer (which you probably shouldn’t be doing, anyway), you should be fine. This entry was posted in USB Technology and tagged Data, Data Storage, flash drives, Hackers, Hacking, Hong Kong, Security, Testing device, USB, USB Kill. Bookmark the permalink.